We've created the first cloud storage system that fits on your desk. We can stain or paint the base of the cloud any color and add a logo. Here's a cloud we did for Amazon Web Services. The clouds were presented as trophies to the AWS Community Heroes at re:Invent. We can also build your cloud with a high-resolution image on the base. 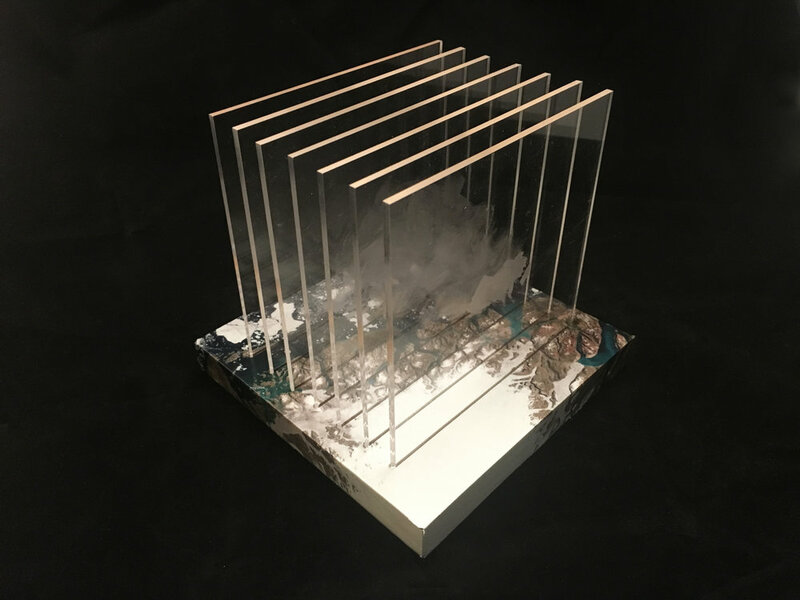 This is a commissioned piece for a NASA researcher, using a satellite image of melting sea ice.